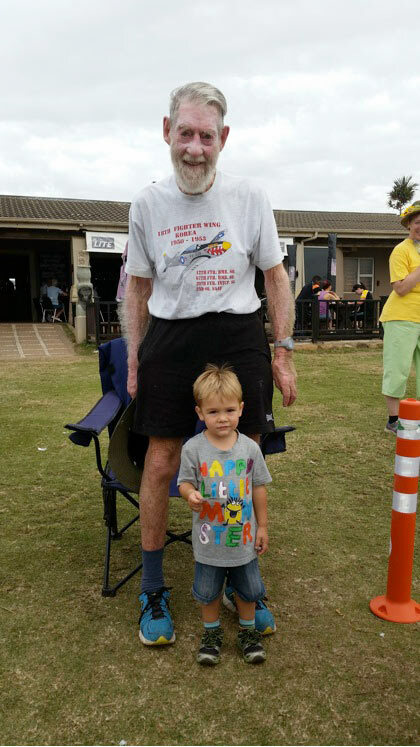 In this edition of the SA parkrun newsletter, we are pleased to announce that the millionth registered parkrunner is a local! The Free State launches Naval Hill parkrun, while Modderfontein Reserve parkrun achieves a world record field of participants. Discovery Vitality brings you health tips and Modern Athlete’s May edition of their digi-mag available online. 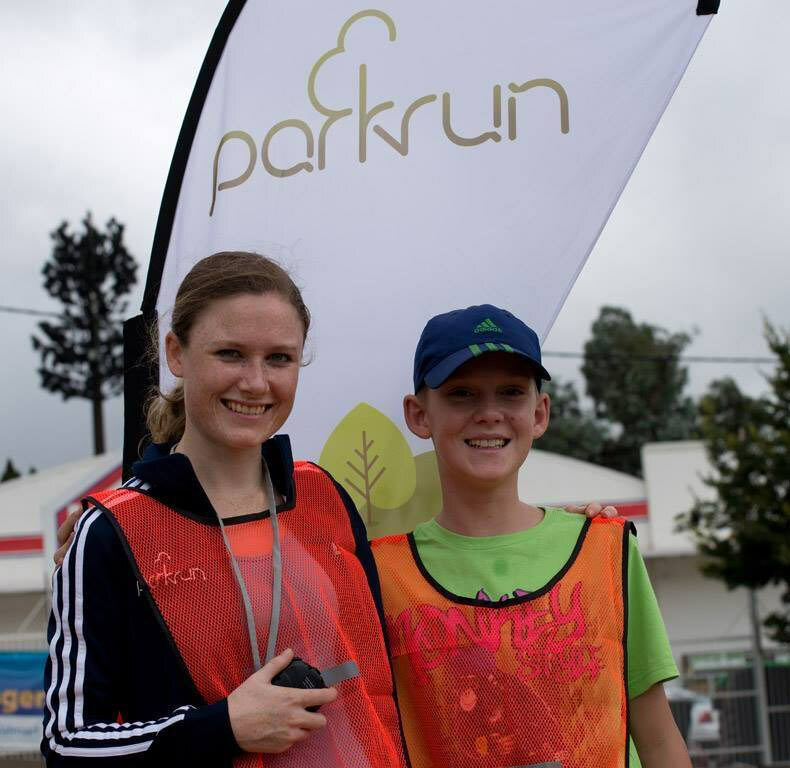 May has brought exciting news to parkrun SA. We launched our very first Free State parkrun on the 3rd of May in Bloemfontein. 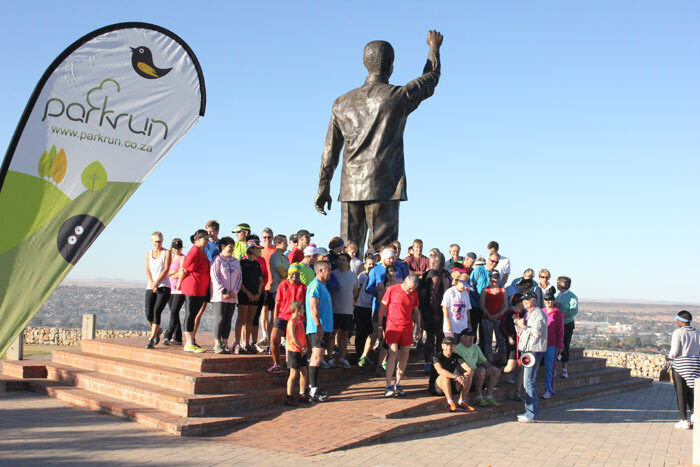 The new Free State parkrun is known as ‘Naval Hill parkrun Bloemfontein’ Naval Hill is a landmark hill in Bloemfontein which has recently been upgraded and revamped by the council. It is a beautiful nature reserve overlooking the city of Bloemfontein. The course is an out and back. At the start a giant statue of Mandela looms protectively over runners. When running along the parkrun route high above the city runners are greeted by spectacular views of the city below and by the occasional glimpse of wildlife. We watched with interest as the South African registrations passed the 3500 mark for the week leading up to 10th May and ‘World Move for Health Day’! Modderfontein Reserve notched up over 800 registrations alone for the week. Expecting a large turnout Wayde Morsink and his team of 36 volunteers were well prepared for the anticipated numbers. No one had quite anticipated that the attendance would be as great as it was, 1803 in total. The day turned out to be an astounding parkrun. There were hundreds of happy people embracing World Move for Health day. Our sponsors Discovery Vitality, adidas and Blue Label Telecoms were also present and helped host the parkrun at Modderfontein Reserve. This was a truly exciting and amazing experience for all who participated. Everyone commented that they had never seen a community so delighted and supportive. This is truly a day that will go down in the history books for parkrun SA. 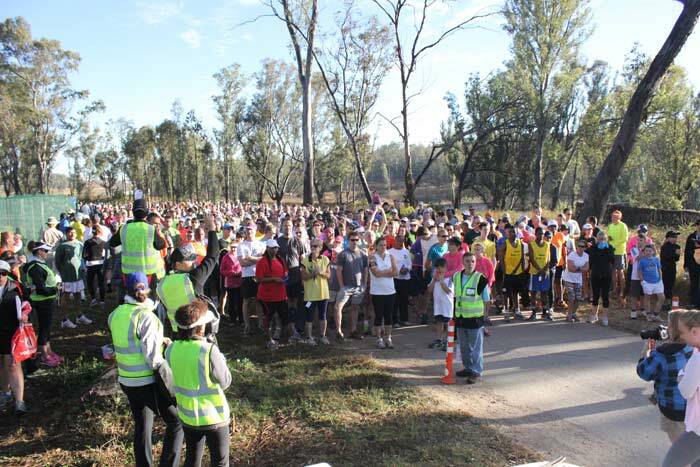 The big crowd at Modderfontein did not affect the numbers at the other Gauteng parkruns. Countrywide we experienced record numbers with the final count of just less than 10,000 parkrunners participating in 30 different parkruns on 10th May. 1 000 000 and counting! For many months now parkrun has known that sometime in May somewhere in the parkrun World someone would become the proud owner of parkrun barcode number ONE MILLION (A1000000) Of course the numbering process is a linear process and the number one is given depends on so many random factors. However we would be dishonest if we didn't admit that we are thrilled that the owner of A1000000 is a South African parkrunner Tracy Unsworth from PE Hobie Beach. Carry your number with pride Tracy; you are the torchbearer for 999999 parkrunners from around the world. 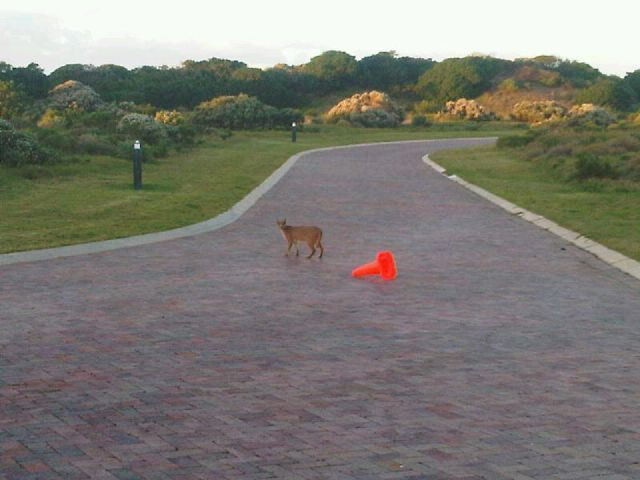 Those of you who have visited St Francis parkrun before will know that you really have to focus during briefing, as the jokes, chirping about home runs (especially Nahoon and Delta) and the fact that 99% of the people know each really interferes with "oh by the way, when you see a cone, go straight." A few weeks ago we had one very delighted runner, he had beaten Bruce Fordyce's PB at St Francis parkrun.... after rubbing it in, the dear man then admit that, for him to run a sub 19, the course must be short with at least 400m. As we had a course PB and in total almost 40 PB's on the same day, Gill expected foul play. The course PB was easily explained - Kobus Joubert is in the middle of his training program, is super fit, knows the route and it is just a given, he will not cheat. Another 40 PB's, well, being a holiday destination we have also doubled our normal amount of runners, and Gauties are normally faster running at sea level, so that was also explained. But we still had Rob Green in second place, beating Bruce's PB, claiming a shorter course... how is it possible? We looked at our map again, noticed there is one loop where it is possible to go wrong if you don't know the route... and last week we discovered what possibly went wrong! Just after Roland Peacock set up the route, marking all the turns with cones, the Estate Manager drove to work, and caught our cone thief redhanded - a lynx!! He quickly took a photo and send it to the volunteers - needless to say, it was mentioned at the briefing, with even more PB's dotted down this week!! So Rob, if you didn't take an upturned cone seriously, nobody can blame you! With the windy season ahead of us, we might consider permanent route markers in any case! It’s the season of colds and flu. If you’re experiencing any pain, nausea or heart palpitations while exercising, you should stop immediately and consult your doctor. Make sure you fully recover before you go back to your normal exercise routine. Muscle cramps can be very painful and can cause persistent soreness, even after the cramp has subsided. They can lessen on their own, or with muscle stretching. 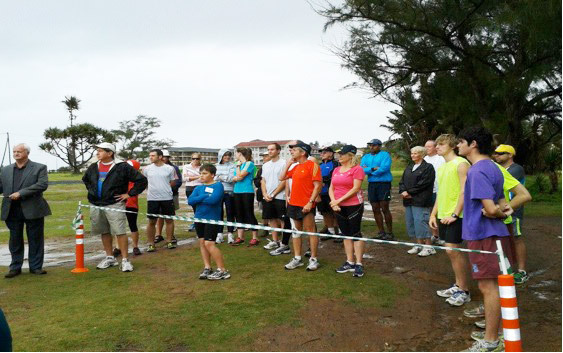 Going back a year takes us to a very cold and wet Saturday of the 11th May 2013 – the day Uvongo parkrun was holding its inaugural run. On this day we had a field of 26 parkrunners which we were extremely grateful for and included Bruce and Gill Fordyce. 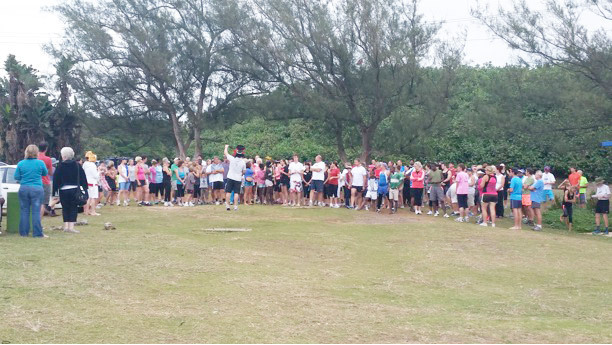 Over the past year, Uvongo parkrun has grown tremendously for a small town. 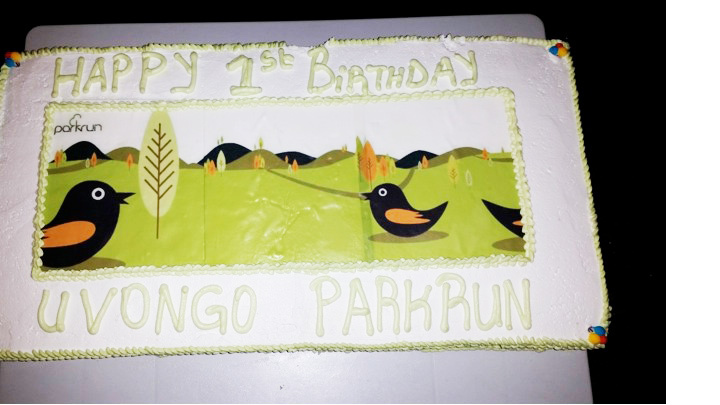 From the inaugural run of 26 parkrunners, we celebrated our first birthday in style with a whopping 155 parkrunners. 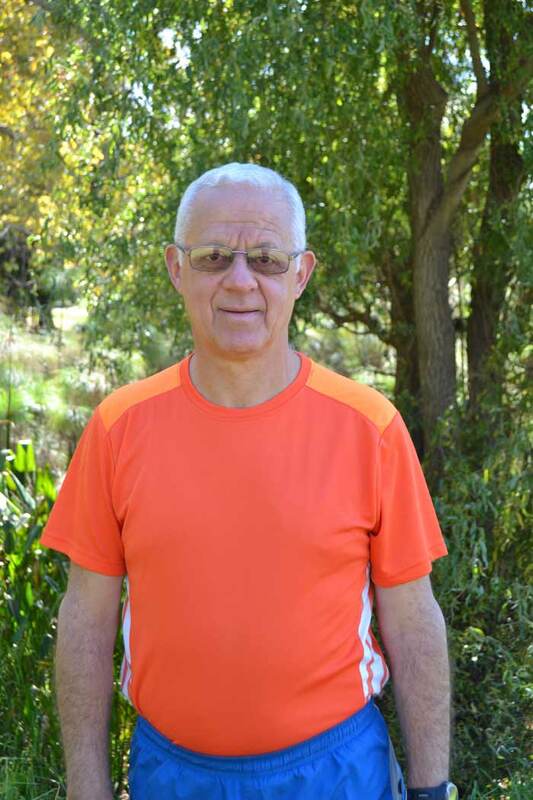 During the past year we have had one parkrunner join the 50 Club and we congratulate Philip Prinsloo on this achievement. Philip has been at every one of the Uvongo parkruns, although the inaugural run he was just "visiting" to see what it was all about. We have had many juniors become members of the 10 Club and are very proud of their achievements. 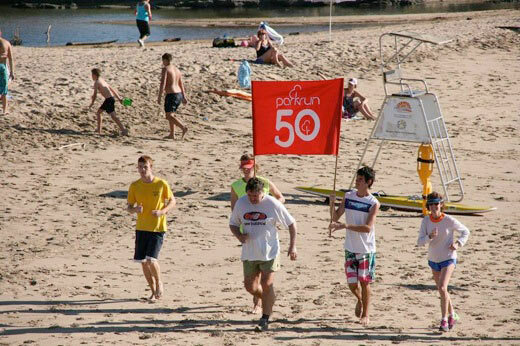 We have a number parkrunners joining the 50 Club over the next couple of weeks. A huge thanks must be extended to our volunteers, of which we do not have a short supply of. Thank you for giving up your time to volunteer on a Saturday. Your time and efforts are greatly appreciated. 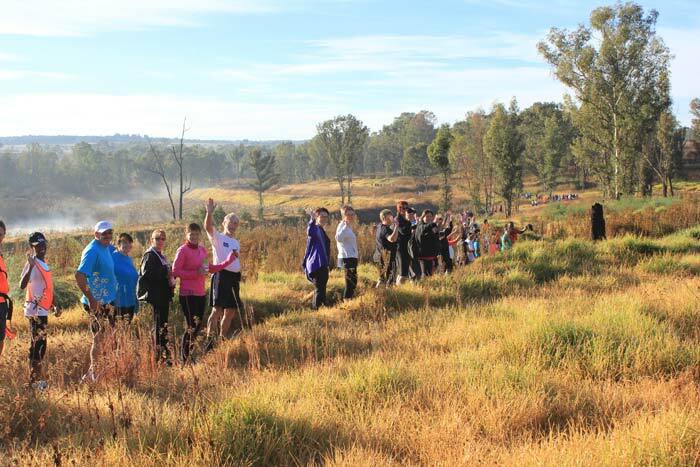 In this edition of the SA parkrun newsletter, residents of Lonehill are pleased about the launch of their very own parkrun. Roodepoort celebrates its second birthday. A young Maxine Kern from Root44 wins R10 000 in an easter egg competition and Halls parkrunners set lightning-speed times. The first thick frost of winter was covering the grass at the Lonehill park for the launch of the Lonehill parkrun last Saturday. Runners were bundled up when they arrived but as always on a Joburg winter’s morning it was still bright and sunny. The sunshine matched the warm, happy smiles of the more than 300 parkrunners who set off on the inaugural run. Congratulations to Event Director Trevor Nel, and the team for their excellent organisation. Discovery Vitality were there with refreshments and handouts. The Lonehill course is a tough two lapper with the big boulder at the top of the climb now known as the happy rock. Everyone is happy when they round it for the second time and can start running downhill! 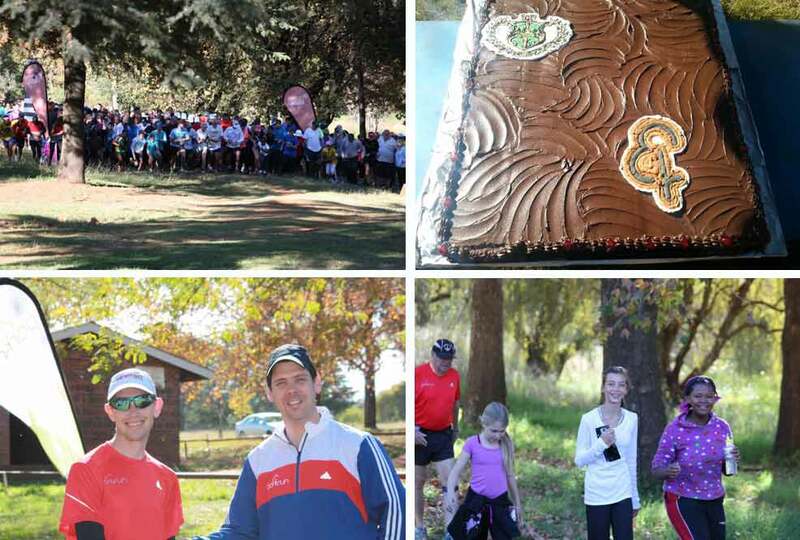 Roodepoort parkrun celebrated its second birthday with a party atmosphere and lots of birthday cake. It is amazing to see how the parkrun has grown. There were almost 300 runners on Saturday. That’s a far cry from the early days when there were sometimes fewer than 10. The parkrun Raiders from Roodepoort have become famous as a group of red T-shirt 50 Club members who regularly “raid” different parkruns. This Saturday sees the launch of our first Free State parkrun. Whenever I am in Bloemfontein Naval Hill has always been my favourite place to run. Now we will have a parkrun in the nature reserve on top of Naval Hill. Starting and finishing under the giant statue of Mandela the Naval Hill route offers wonderful views of the City of Bloemfontein below. Well done to Leon Engelbrecht, Kobus Uys and their team for getting this special parkrun started. Modderfontein Reserve parkrun will host the “World Move for Health Day parkrun” All Gauteng parkrunners are invited to attend this exciting event. Our National sponsors will be present. A pre run warm-ups session will be available. Discovery Vitality will provide refreshments and giveaways. Spot prizes for lucky parkrun finishers! Please make sure you arrive early. There will be plenty of parking available. Share transport and bring your friends. This will be a unique parkrun, not to be missed!! For more information on how to get there please see the website. 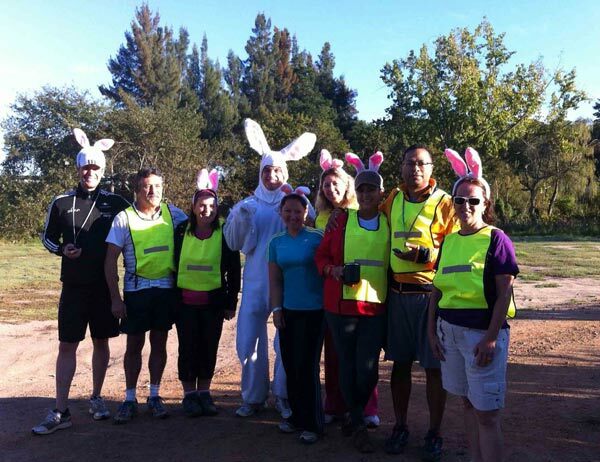 The Modderfontein Reserve parkrun also has it’s own Facebook and Twitter pages. Please don’t forget your barcode. The May edition of our Media Partner, Modern Athlete Magazine is available now! Subscribe to the Digi-Mag to receive it to your inbox on a monthly basis. I completed my my first parkrun in September 2013 at my home run Modderfontein, the closest venue to my house in Glenhazel. I discovered that friends were running at Woodlands, so I joined them there for my second run - and then I was hooked! I decided to see how many different venues I could run in my first ten runs and not exceed 30 minutes travelling time on average to the venues. Third run Ebotse: Between the water and lovely homes on quite rough ground. Forth run Uvongo: Along the Indian ocean. Since this is a out-and-back run, I saw 6 of the first 7 participants running bare foot - hey man, this is the South Coast! By the way, we were on holiday so no problem with the thirty minutes. Fifth run Rietvlei: Quite congested with 730 in the field. They do a very clever thing here, there is a distance marker every half kilometer. Sixth run Delta: On the day, 8 March, the course was extremely waterlogged. This was when we had all that rain in Johannesburg. Seventh run Roodepoort: Hard working volunteers even cut the grass in preparation for the run. Eighth run Voortrekker Monument: Marvellous views of Pretoria. My furthest venue, 37 minutes. Ninth run back to Woodlands: Friend Hilary's 50th parkrun. Is this run really only 5 kilometers? Tenth run, 26 April 2014 - Bryanston: Along the spruit, a little chilly at the start. Average travel time: 27 minutes (run time is longer). Ten runs, 9 venues and 9 PB's guaranteed! Try it, it's free. Next closest venue is Potchefstroom. About 90 minutes away. The 19th April was a beautiful autumn morning in the winelands and what was seen moving around in the distance…a pair of long white ears! The Easter Bunny came to visit our juniors and some of our big kids! Sofie (9) – “This bunny is such a good hider” Karley was so excited to meet the Easter Bunny. While the 2-legged parkrunners had a good laugh, when they saw the bunny as they round the corner in the vineyard, the 4-legged ones weren’t too impressed! Juniors who didn’t find an Easter egg hidden in vineyard were lucky enough to get one from Easter Bunny himself when they got to the funnel. Save the date: 24 May @ 08:00 Root44 parkrun is turning 1! There will be cake! 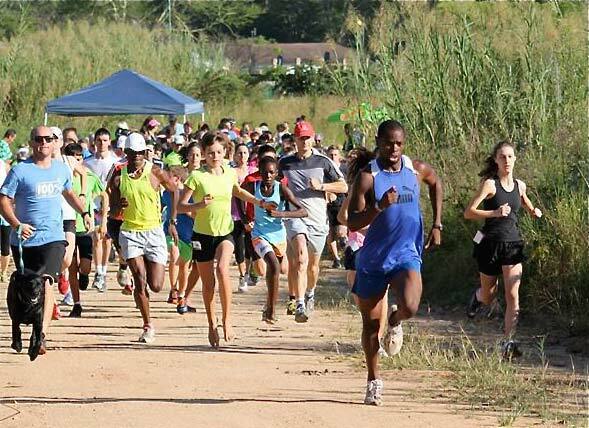 Halls parkrun has enjoyed great support from a loyal crowd of regular Nelspruit parkrunners. To see the same faces every week is a great testament to the popularity of this well organised and scenic parkrun. I love seeing new faces too because I know I will get to know them as they become regular parkrunners once they've experienced this weekly, FREE event! Guys like the friendly Scotsman Andy and his son Fraser, the Van der Merwe family, the cross country kids and real racing snakes like my Nedbank LVCC clubmates, Folavio Sehohle and William Mothosola. They all come back week after week to get fitter, faster and healthier. In Folavio's case it’s getting faster, and by faster I mean breaking his own course record of 14:49, the fastest course record in the country! He feels 14:40 is possible and I’m sure he can do it too. That’s what parkrun is all about for me and the reason I’m willing to sacrifice chances to run it by volunteering on a regular basis. To see kids, non-runners and world class track athletes mixing it up on a 5km stretch of Lowveld farm road makes it all worthwhile. Bryanston parkrun is investigating the replacement of the wooden bridge along the route. The bridge has become increasingly delapodated and because of the number of parkrunners, and cyclests along the route, it is necessary to have a wider bridge installed. We hope to enjoy the upgrade soon. The Bryanston East Community Forum has approached us, requesting envolvment in their ‘Spruit Day’ initiative on the 7th of June. We would like to appeal to our parkrunners to join in. The day is a combined clean-up effort of concerned citizens who live along and around the Spruit, driven by the local Residents Associations, with the support of Spruit interest groups, youth representatives such as the Cubs and Souts, and the City of Johannesburg. We would love to see as many of our parkrunners offering a helping hand before and after pakrun on the 7th of June. Thank you to all the parkrunners who have already helped us by picking up litter before parkrun starts on a Saturday morning! Your efforts do not go unnoticed! The Roodepoort parkrun turned two years old on the 26th of April and the Len Rutter Park was transformed into a hive of festivity with jumping castles, music and plenty to eat and drink. A crisp autumn morning awaited the 295 park runners that participated and participate they did! The parkrunners set off at a blistering pace with our local lad Abraham Seqapotsa taking the honours, crossing the finish in a modest time of 17:09 and helped himself to a new pb! Norma Vanqa reciprocated for the girls in a time of 21:56, this was her first time out on the relatively tough course. 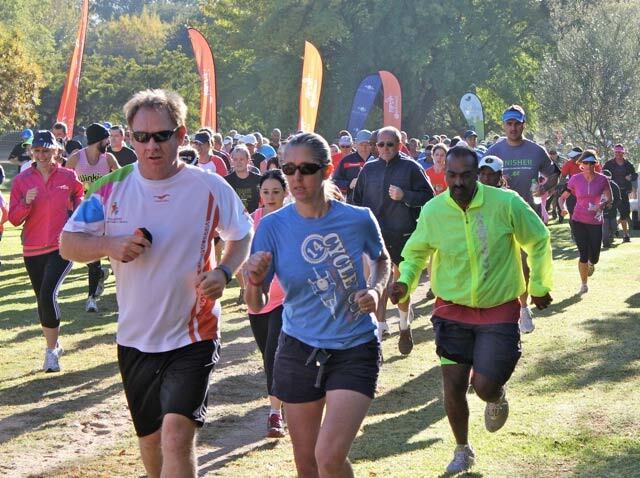 The Roodepoort parkrun has grown from strength to strength over the last two years. The number of park runners participating has varied from 6 to 300 plus. With the parkrun situated in the Len Rutter Park, numerous initiatives have been started by the parkrun organisers together with the community to upgrade the facilities in the park. Work has commenced to upgrade the lapa with suitable ablution facilities for the runners. Getting back to the birthday celebrations, there was plenty to celebrate. Deonie Hugo ran her 50th parkrun and Abdullah Essack received his Junior Club 10 certificate. The male park runner of the year was awarded to Kevin Vine and the female park runner of the year is Thandi Zililo. Incidentally, Thandi completed 50 out of the 52 parkrun events at Roodepoort last year –more parkruns than any other parkrunner. A hearty congratulations to both of you! There were a number of prizes that were given out to some lucky park runners. Collin from Tenbits sponsored two parkrun wristbands. These were won by Graeme Adamson and Green Boucher. Not to be outdone, adidas sponsored a micoach device which was won by Smangele Magwaza. There were a number of sponsors that participated in making the day an amazing festive success. The Roodepoort parkrun team would like to thank the Legend Pub and Grill for the hugest chocolate cake that has ever been baked on the West Rand. There were even second helpings available for everyone! ER24 for your time spent around the course. Gladiator Inflatables for the huge jumping castle, adidas for arriving in their high tech Adivan, and the Lions Club for providing pancakes (as if the chocolate cake was not enough). Numerous volunteers took the morning off running to ensure that everything ran like clockwork, a very big thank you to all of you! The Roodepoort parkrun also conducts charity drives from time-to-time. Over the last few weeks, collections have been rolling in for FORA (Friends of Rescued Animals). Our park runners opened their wallets and hearts and donated food, blankets, dog beds and toys for our animals in shelters. 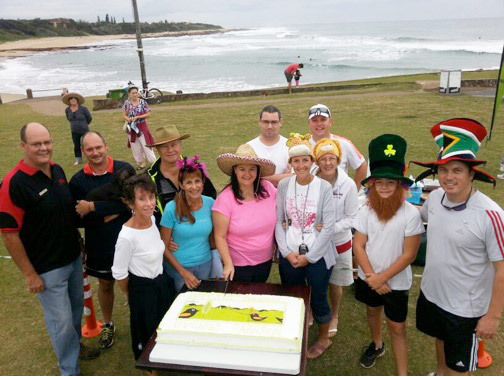 Our parkrun is growing from strength to strength, here is looking forward to our next birthday celebration! Hi there, thought I have to share this with you - my daughters & I do the parkrun (Root44) regularly and also did the easter egg hunt one. Well my elder daughter Maxine (9) got one of your Easter eggs during the hunt and it had a sticker.....we entered the code......and this morning she was informed she had won the main prize of R10 000!!!!!!!!!! so a big thank you from Maxine Kern!! She will definitely be attending many more parkruns ?? 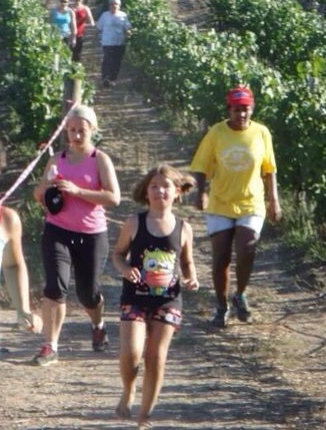 Maxine (middle) flying down through the vines! Number of runs: 0 runs. I only run when absolutely necessary. PB: 5 minutes to get to breakfast after the parkrun. Most memorable or funniest parkrun volunteering moment: Having 4-5 adults following my instructions on how to put up the banners and signs.